Flóra "Florence" Klein, the mother of KISS bassist/vocalist Gene Simmons, has died at the age of 93. Florence's passing was confirmed by Simmons's wife, Shannon Tweed Simmons, who wrote on her Facebook page: "Rest in peace my dear Flora. The best grandma and mother in law I could ask for. 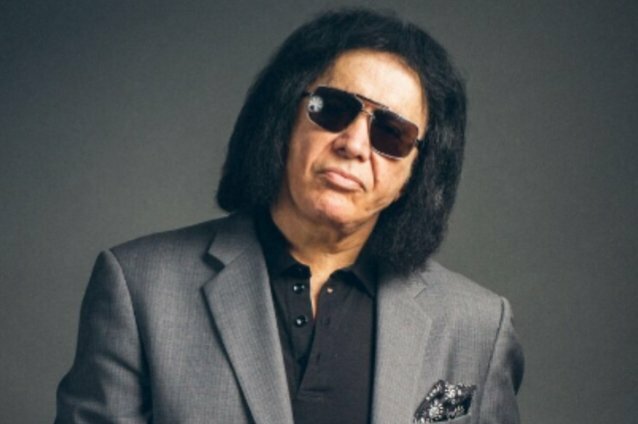 You were loved and you will be missed"
Gene later posted a photo on Instagram of him as a child with his mother and included the caption: "The best mother in the world"
Gene's KISS partner and bandmate Paul Stanley posted a touching tribute to Florence on Twitter, writing: "Gene's mother, Florence Lubowski, has passed away. I knew her as long as I've known Gene. Beyond her fierce love and pride in her only child, she was his inspiration to live up to being worthy of the sacrifices she made in a very difficult and, at time, horrific life. "A holocaust survivor, she fought for all she had, and her fierce protection and pride in Gene made her someone to be feared, admired and loved. I will miss her laugh and smile. "Let us all say a prayer for her, Gene and his family." Earlier this year, Gene told The Sydney Morning Herald: "My 92-year-old mother, Flora Klein, is my hero. She was sent to a Nazi concentration camp at the age of 14 and survived, but all the members of her family were wiped out — she saw her mother walk into a gas chamber. Despite the tragedy, she is a positive person who sees the goodness in people's hearts. I wouldn't be that forgiving if I had lived her life. "She raised me as a single mother in Israel — I was an only child. My father [Feri Witz] abandoned us when I was six. Mom had relatives living in America and so we relocated there for a better life when I was eight. "When we arrived in America, neither of us could speak a word of English. My mother worked in a factory that was like a sweatshop — six days a week, no lunch breaks and there was no minimum wage. She was a button and buttonhole worker, handling 1000 coats a day. She made half a penny for every button sewed. "My father was her one true love. She went to Israel 25 times to visit him, even though he was a scoundrel who had remarried. I later found out that I had five half-brothers from my father's five other marriages. He died in his early 80s and at that time he was living with a 35-year-old woman. He was who he was to the end."